We use plants in daily life for health, diet, beauty, and more. 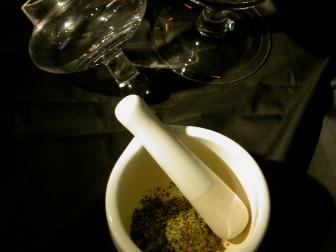 We prepare and dispense herbal formulas to clients & practitioners. Maintain a storehouse for herbal ingredients & preparations. Grow and cultivate select herbs and ingredients suited to cultivation in our region. You can have custom herbal remedies made to suit your personal needs. Made with quality herbal ingredients just for you as a unique individual. These may include, tinctures, teas, cough syrup, glyceracts, salves, ear drops, liniments, and more. You can have custom body products made especially for you. You can have products such as salves, skin creams, lip balms, soaps, massage oils, and toners. Plus, we’re continuing to add more possibilities. Qualified practitioners can request tailored herbal remedies for their clients. You can’t always find the herbal formula you want your client to take on store shelves, but you can send them to an to prepare a recipe you want them to take.